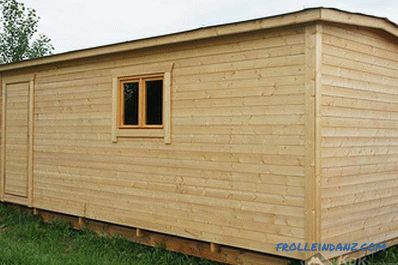 A small house called a small auxiliary building made of wood, metal or any other building material and equipped with everything necessary for temporary residence in it. In addition, in buildings of this type, as a rule, a special department like a storage room is used, which is used to store work tools and inventory. Before you make a change house with your own hands , you should clearly define the purpose for which it is needed. In the article, we will look at options for change houses (trailers) that can be done independently, give detailed step-by-step instructions, and also show drawings, photos and videos. There are two possible options determining the choice of the structure of the structure, as well as the material used in the construction. 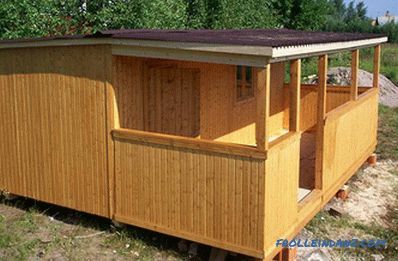 Firstly, the cabins can be used as a long-term dwelling place for workers hired to build a main house on a plot allocated to you. In this case, it should be provided with a full set of amenities needed for rest and meals, as well as for protection from the weather and heating in the winter season. In addition, it is often necessary to store building materials and equipment in such a house, under which a special place should be allocated. 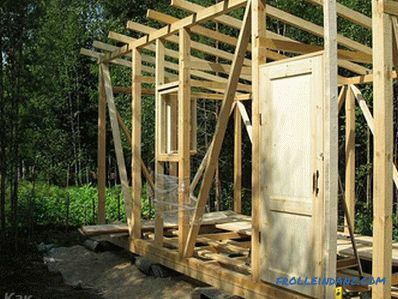 Secondly, a change house can be used simply as a storage place for working tools and equipment at your summer cottage. In this situation, the presence of any facilities in it most often is not provided. the size of the building, the conditions for its placement and other nuances. If we proceed from the conditions for using the bungus, which we have already considered, then if we use it as a temporary residence for workers it can be installed anywhere in your land. But at the same time, it is necessary to take care that the place you have chosen is located at a certain distance from the building site, storage areas, as well as transportation routes for construction materials and lines for future communications. In the event that your cab will be used as a storage room for equipment at the dacha, it is not necessary to take into account all the factors listed above. 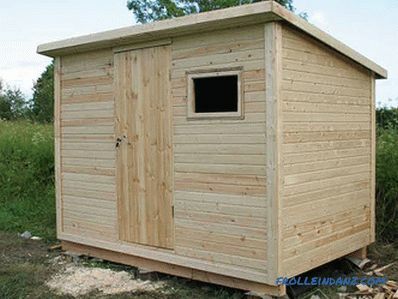 Before building a shed in a particular garden site plot, you should determine its size, the choice of which is also determined by its purpose. So, if several workers have to rest in the bungalow and some materials needing drying will be stored - you will need a building at least 2.5 meters by 6 meters in size. 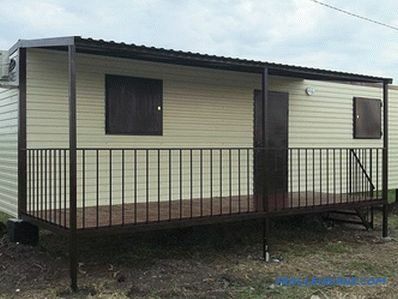 If the trailer will be used as a storage for working clothes and tools, as well as a shelter from the weather - the size of 2 by 4 meters is enough. Such dimensions should suit those summer residents who intend to use the bungalow as a temporary summer kitchen. 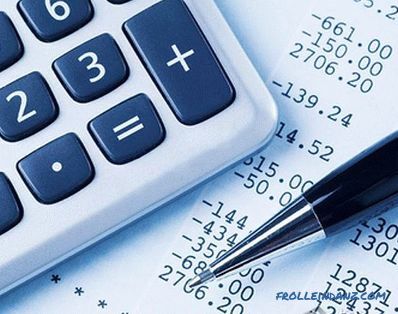 When choosing the size and location of the carriage, it should also be possible to transfer it to another place or to a potential sale, which is connected with the need to arrange transportation. It should be noted that on the roads of Russia without special permission it is allowed to carry loads of certain dimensions (width - no more than 2.55 meters, height - no more than 4 meters from the level of the roadbed). It is also necessary to take care of the simplification of work related to the loading and unloading of a shed in case of its transportation to another place. length - no more than six meters. At the same time, the weight of the shed should not exceed five tons, which will allow you to use an ordinary manipulator for its transportation. In any of the considered We do not need to prepare variants for a shed carriage for a powerful foundation using concrete monolith or reinforced concrete piles, for example. In such a situation, the main task of the foundation being set up is to protect the future structure from moisture extending from the ground. A rather effective and economically viable option for this case is to use special asbestos-cement glasses, cinder blocks or sleepers that have worked for their period as the basis. First, excavation work is carried out, starting with cleaning the site selected for construction from debris and grass. Then, in its corners, as well as in the places of planned placement of supports (6-8 pieces are enough for change houses), the top layer of soil is removed. After that, a cushion of a mixture of rubble, sifting and sand, which is slightly moistened with water and then thoroughly compacted using a special ramming device, is made on the bare soil. When asbestos-cement glasses are used as base pillars, paving slabs are allowed to be laid under them, which allows to slightly increase the area of ​​the supporting base. 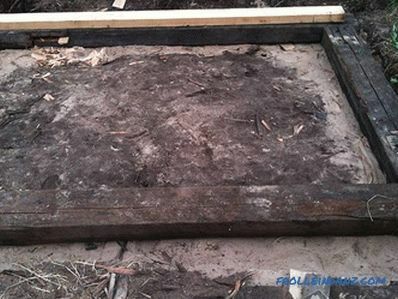 Slag stones or sleepers are placed on the pillow with the obligatory check of their laying on a horizontal position; for this you can use any suitable level. For reliable protection of the wooden frame of the structure against soil moisture, pieces of roofing material are placed on the supports (preferably in several layers). 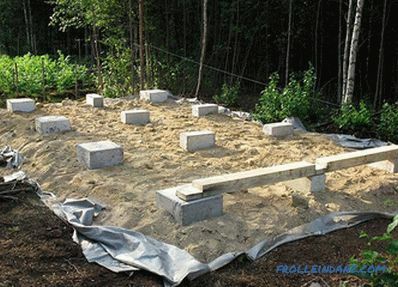 Such a foundation is quite simple to manufacture and can be prepared on its own literally within a few hours. Well, if there is a need to move the trailer to a new place - its dismantling from such a base will be extremely simplified. 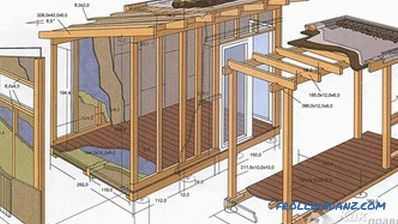 At the completion of the foundation arrangement it will be possible to go directly to the construction of the shed itself, which we will look at as an example of manufacturing a carriage frame made of wood. These works begin from laying the supports on the supports and fixing on them the bottom trim bar, for which the board with a section of 100 * 150 mm can be used. 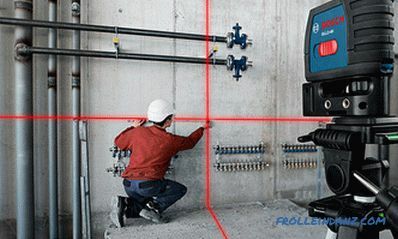 This beam is securely fastened to the foundation supports using special anchors, and then the corner and intermediate posts are mounted on it. gender lags crash directly NNO in the timber bottom trim. 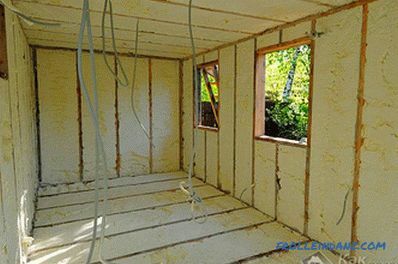 If you wish to insulate the floor, you will have to prepare its binder for the lower cut of the lag, on which plates or mats of insulation material will subsequently be laid; 28> 27> it is desirable to immediately determine the location of the door and windows of the dog house. 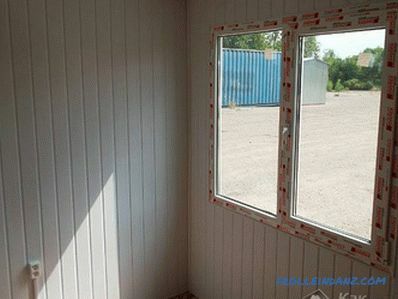 After the carcass frame is ready, you can proceed to the cladding of its outer surface with a facing material suitable for your conditions (OSB sheets, for example). The resulting internal cavities of the frame are filled with pre-made insulation plates, which are then covered a layer of vapor barrier film and lined with clapboard. If you wish, you can additionally protect the outer walls of the car from the weather, revealing them with sheeting of corrugated board, for example. 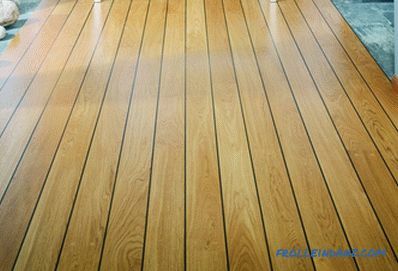 After the base of your house will be prepared, you can proceed to the installation of such structural elements of the floor as lags and rafters (for these purposes the same board with a section of 50 * 150 mm will fit). Upon completion of their installation, the ceiling filing of inch board, sheets of plywood or OSB is made through the bottom cut of the log. After that, a layer of vapor barrier film is fastened on top of the binder, on which slabs or mineral wool insulation mats are then laid, for example. We will note that in sheds, as a rule, a shed roof is used. When making the coating, the battens are fastened across the rafters, after which the sheets of the roofing material of your choice are placed on them (it is most convenient to use slate or galvanized steel sheet for these purposes). 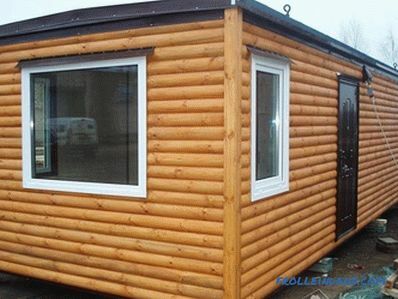 As for the arrangement of the windows in the trailer, standard wooden frames can be used to make them. If your cab will be operated during the winter season, it is better to install plastic windows (preferably with a double-glazed window). The entrance door for such a building can be metal or wooden, and to create additional protection from the cold air in the house you can equip a small vestibule. 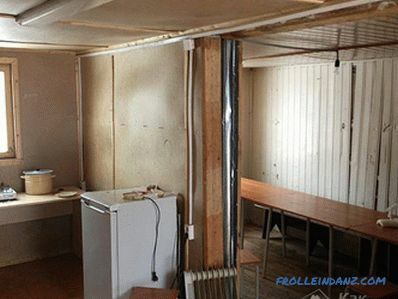 In the event that if you intend to make change houses completely from new procured materials - the approximate amount of expenses may amount to about 20-25 thousand rubles, which is approximately twice as much as buying a finished trailer. 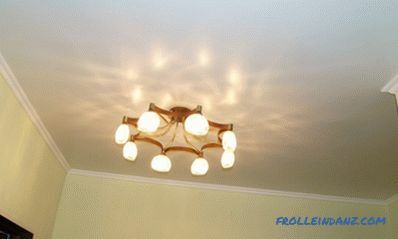 In most regions of the country for the specified amount you can buy all the basic materials for construction. 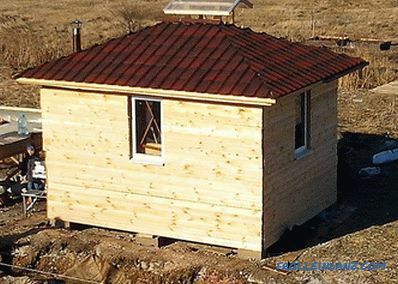 If you want to save on construction materials, you can always use the remnants of still usable old structures that are available at any dacha.